OXFORD, Miss. – Digital marketing is a highly competitive and valuable resource for corporations, organizations, and universities around the globe. The University of Mississippi’s Division of Outreach and Continuing Education was recently honored for their successful efforts in the use of this medium as they worked to further reach prospective students and program participants through targeted email campaigns. 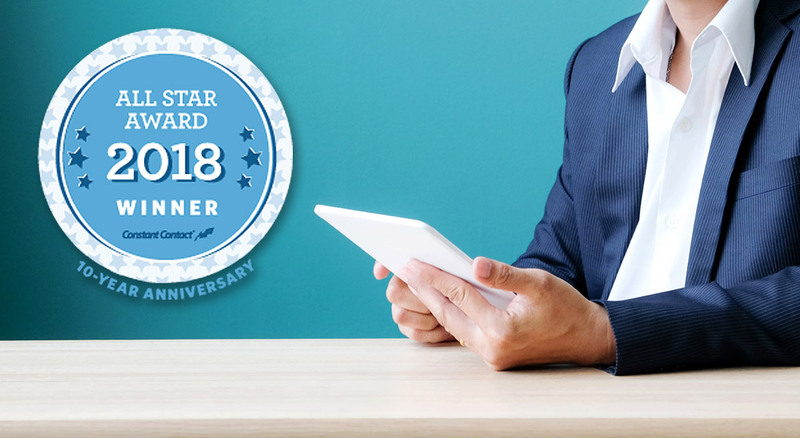 This month the marketing and communications department of the UM Division of Outreach was named a 2018 All Star Award winner by Constant Contact, an Endurance International Group company that aids users in producing specialized emails. The annual award recognizes the most successful 10 percent of Constant Contact’s user base, based on their significant achievements using email marketing to engage their customer base and drive results for their organization during the prior year. The director for the Outreach marketing team is Janey Ginn. Ginn said that email marketing has provided a valuable venue for further reaching out to constituents to provide relevant, meaningful information to audiences quickly and efficiently. "The Division of Outreach offers a number of diverse programs to diverse audiences, and email marketing has helped us develop real relationships with this wide variety of students, parents, and faculty and staff,” she said. The Division was notified of the award earlier this month along with a variety of small businesses and nonprofits. Criteria used to select this year’s All Stars included campaigns with the highest level of user engagement; open, bounce, and click-through rates; use of social sharing features; as well as the use of mailing list sign-up tools and reporting tools. Constant Contact’s Vice President of Customer Success Holli Scott said that the campaigns created by this year’s All Star award-winners demonstrate that a business, regardless of its size, can accomplish their marketing goals. Vanessa Cook serves as the assistant director for digital strategy and analytics. She cites the success of recent Outreach email campaigns as part of the integrated marketing strategy of getting to know your customer base and their needs. “Email marketing, when done well, allows a business to communicate to a potential customer in a much more targeted manner than traditional print or organic social media,” Cook said. “If you know your constituents well and craft your message to their tastes, email marketing can build an audience that will not only commit to your offering, but share it with their friends and family.